Noswaith hwylus iawn Nos Iau diwethaf yn y Grosvenor, Aberteifi, yn trafod mordaith y brig 'Albion' gyda'r hanesydd, Len Davies. Diolch i bawb ddaeth, a diolch i Ann Stokoe am drefnu. A great evening last Thursday evening at the Grosvenor, Cardigan, discussing the brig 'Albion' with the historian, Len Davies. Thank you to everyone who came, and to Ann Stokoe for arranging. Newyddion da heddiw. Ar restr hir y New Welsh Writing Awards, 2019. Some good news today. On the longlist for the New Welsh Writing Awards, 2019. At the London Book Fair yesterday and meeting up with Consuelo Rivera-Fuentes (founder and director of Victorina Press), Sophie and Jorge. The Victorina Press stand was part of the Independent Publishers Guild section. Consuelo Rivera-Fuentes is phenomenally supportive of new writers, and deserves high praise for publishing so many fresh voices, all within the space of a year. Me, Consuelo Rivera-Fuentes, founder and director of Victorina Press, Sophie and Jorge. 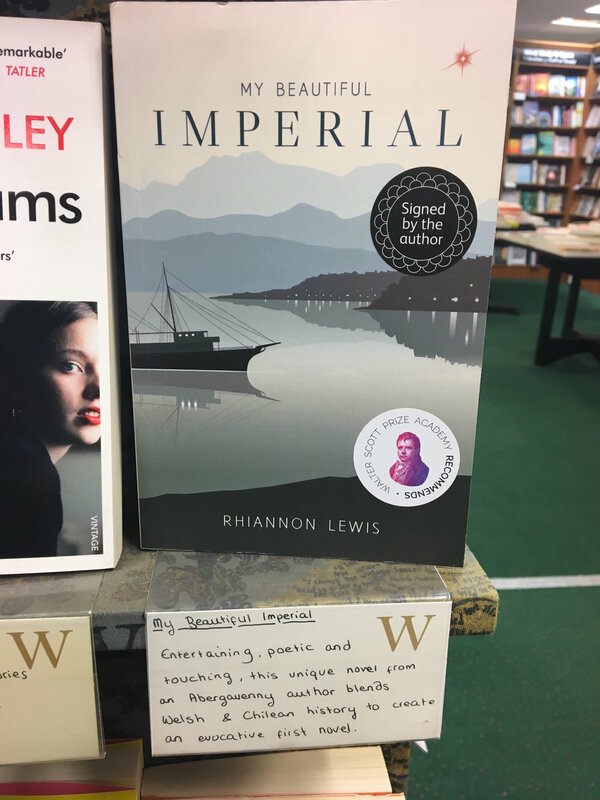 At the beginning of 2018 Anglo Chilean Society member, Rhiannon Lewis, enjoyed success with her novel “My Beautiful Imperial”, launched at the Chilean Embassy in 2017 under Ambassador Rolando Drago’s time. The novel was chosen by the Walter Scott Prize Academy for its list of books to read. Today we are pleased to announce that, My Beautiful Imperial, has now been published in Spanish as Mi Querido Imperial. Mi Querido Imperial tells the story of a Welsh sea captain who finds himself embroiled in the turbulence of the 1891 Chilean Civil War. Based in true facts and written by his great-great niece, Rhiannon Lewis. The Spanish edition of My Beautiful Imperial, Mi Querido Imperial, has now been published. The novel has been translated by Guisela Parra-Molina, a Chilean translator. A launch will be organised soon. Watch this space for dates. The first copies of Mi Querido Imperial have arrived in Chile! Lovely review in Waterstones today. Adolygiad da yn Waterstones heddiw. Roedd yn braf cael fy nghyfweld gan Aled Hughes ar ei raglen radio ar 11 Hydref. 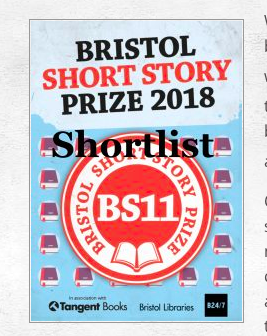 The award ceremony for the Bristol Short Story Prize took place on Saturday 13 October. It was a great evening. With my very own copy of the book! The brilliant window display at Foyles, Bristol! I would like to introduce Adam Feinstein. Adam is an acclaimed author and journalist. He has written for the Guardian, the TLS and the New Statesman, and broadcast for the BBC on subjects as diverse as Pablo Neruda and autism. In 2010, he published, A History of Autism: conversations with the pioneers (Wiley-Blackwell, 2010). He founded the international autism magazine, Looking Up, and runs monthly online autism conferences for Autism Cymru, as well as an annual online Awares conference which has been referred to as the ‘finest online event of its kind on the planet’. In July, he published, Autism Works: a guide to successful employment across the entire spectrum (Routledge, 2018). As if this isn’t enough talent for one person, Adam is also an acclaimed translator, and Hispanist. Adam’s translations from Neruda, Lorca, Benedetti and others have appeared in many publications, including Modern Poetry in Translation and Agenda. His book of translations from Neruda’s Canto General was published by Pratt Contemporary in 2013. He wrote the introduction to the Folio Edition of Jorge Luis Borges’ Labyrinths, which appeared in 2007. His biography Pablo Neruda: a passion for life was published by Bloomsbury in 2004, and reissued in an updated edition in 2013. It is a wonderfully gripping biography which transports the reader into Neruda’s world. The real art of the book is to make us feel that we are retracing Neruda’s footsteps, and travelling the poet’s journey through life along with him. I would recommend it. Harold Pinter called it ‘a masterpiece’. Unsurprisingly, Adam was asked to advise on the film Neruda, Oscar-nominated director Pablo Larraín’s recent biographic feature film. Adam is a major authority on film, Latin American cinema in particular. He has written about and given talks around the world on Michael Curtiz - the man who made Casablanca. When My Beautiful Imperial was published, I was delighted that Adam took the time, not only to read the book but to write such a great review. We all hoped it would be picked up by one of the national papers. Perhaps the book is too Welsh for the English papers, and too English for the Welsh papers? Who knows. Whatever the reason, the review went unpublished. Consequently, I would like to share Adam’s impressions of the novel with you here. Many, many thanks, Adam. Adam Feinstein’s review of My Beautiful Imperial. 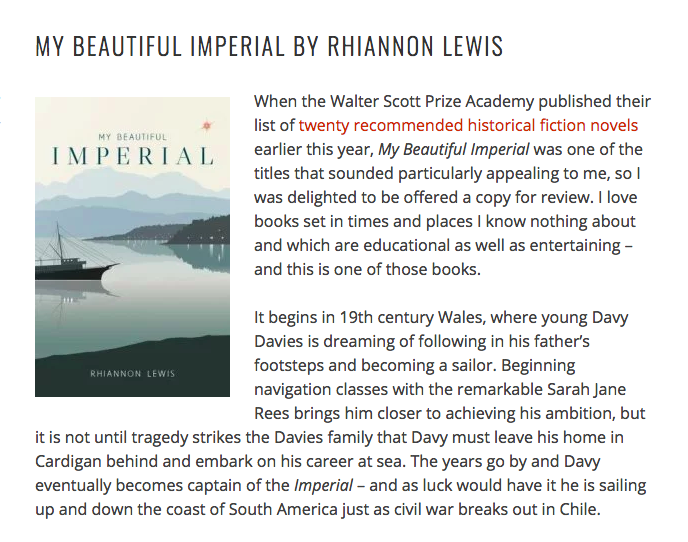 Rhiannon Lewis’s novel, My Beautiful Imperial, is a masterly mixture of grippingly suspenseful historical adventure and character study set amid the political upheaval of nineteenth-century Chile. It is admirably researched - but the facts are introduced tactfully and tastefully. We are swept along not just by the action but by the dialogue, which bristles right from the start - and more than anything else, by the central figure of Davy Davies, the Welsh sailor caught up in the Chilean revolution. Davies is an utterly memorable creation, erupting with believable life. (The image of him prancing around the room naked in a malaria-fuelled delirium will live long in the memory.) Davies’ doubts, foibles and passions become ours, and the innocence of his love affair with the unhappily married Estella is almost unbearably affecting, at times. But the secondary characters are almost equally vibrant, because Lewis has the enormous gift of summing up a person in a single, telling line: Estella’s husband, Laurence, for example, makes every caring remark sound like a rebuke. We ourselves genuinely care about Davies’ friends and colleagues and share his distaste of his appallingly spiteful, embittered superior, Walker. In its ability to enthral us at every moment, My Beautiful Imperial has the cohesive perfection of a great Hollywood movie like Casablanca. Indeed, the spontaneous singing of Welsh songs on board the Imperial as the ship faces possible annihilation is as poignant a scene, in its way, as the memorable moment the refugees burst into a chant of the Marseillaise in that legendary film. I’ve never liked putting people into pigeonholes, and I don’t like to be pigeonholed myself. Likewise, I’ve never understood people’s desire to be confined to tribes. We’re all different, and that’s what makes us interesting and unique. I love Wales, but I also love being in London. I love the Welsh language, but also love English authors. I love French, Italian and Spanish and if I could speak all of them fluently, I would. How fantastic would that be! So, it’s with great pride that I saw this in Waterstones, Abergavenny, today. It’s lovely to be seen as an ‘Abergavenny author’. We’ve lived locally for 6 years now, and it’s a great town. I also know that ‘back home’, in Cardigan, I’m considered a ‘Cardigan author’. I was brought up there, and I will always be drawn back to the sea. I spend a lot of time in London, so who knows, maybe one day, if I’m lucky, I’ll be considered a London author? And when the Spanish translation is launched in Valparaiso/Santiago/Concepcion later on this year, how lovely it would be to be referred to as a Welsh/Chilean writer! Perhaps an author can be like a sailor, and call many places home. We had a great evening at Clwb Hanes y Ferwig on Monday evening, discussing the historical background to ‘My Beautiful Imperial’. It was good to be back at my old primary school in the company of old friends and new. Several people in the audience had already read the novel but even so, I sold 9 books, which I was absolutely delighted about. Thank you, Ferwig, for the warm welcome. Jon Meirion Jones was the very deserving winner of the hardback copy. Cafon ni noson hwylus iawn yng Nghlwb Hanes y Ferwig ar nos Lun. Roedd yn braf i fod nôl i fy hen ysgol gynradd yng nghwmni hen ffrindiau a newydd. Roedd nifer o bobl yn y gynulleidfa wedi darllen y nofel yn barod, ond er hynny, gwerthais 9 llyfr, oedd yn syndod braf. Diolch i Ferwig am y croeso cynnes. Jon Meirion Jones oedd ennillydd haeddiannol iawn y copi clawr caled. 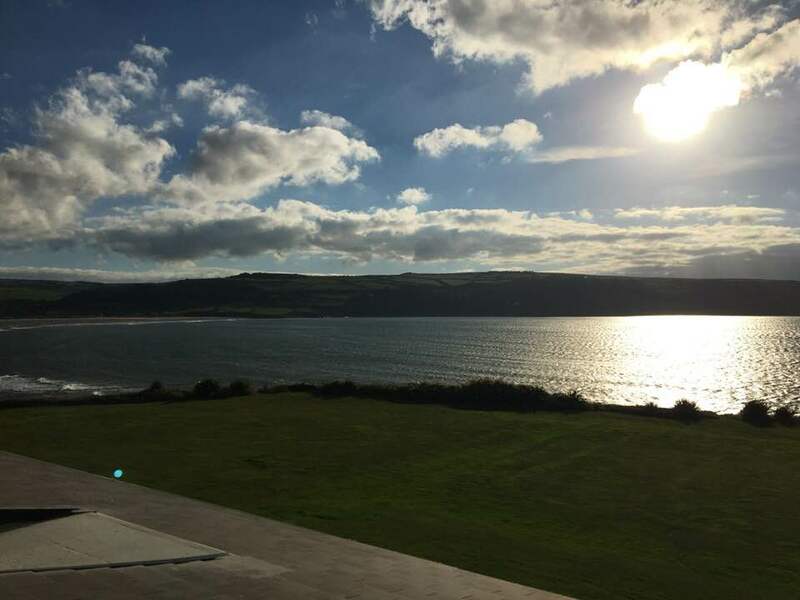 Rwy’n edrych ymlaen at noson ddifyr yn trafod cefndir My Beautiful Imperial gyda Chymdeithas Ceredigion ar nos Sadwrn, 6 Hydref. Bydd y cyfarfod yn digwydd yng Nghaffi’r Emlyn, Tan-y-Groes am 7.30pm. Mae croeso i bawb. Os nad ydych chi’n aelod yn barod bydd angen talu £2 mynediad (bargen!) neu beth am ymaelodi am flwyddyn am £5 (bargen arall!). I’m looking forward to discussing the background to My Beautiful Imperial with the members of Cymdeithas Ceredigion (the Ceredigion Society) on Saturday evening, 6 October. The meeting will take place at the Emlyn Café, Tan-y-Groes at 7.30pm. Everyone is welcome. If you aren’t already a member, you will need to pay £2 entry (bargain!) or why not join for a full year for £5 (another bargain!). This is a Welsh language event. This will be out soon, on 13 October. Delighted that it will include one of my stories. Bydd y gyfrol allan cyn bo hir ar 13 Hydref a bydd yn cynnwys un o'n storïau. The Welsh speakers amongst you will be familiar with the poet, author, historian and genuine all-rounder Jon Meirion Jones. Jon has agreed that I can share his review of 'My Beautiful Imperial'. I won't attempt to translate it as he writes beautifully (an incentive to learn Welsh perhaps?) but I thought that the week of the National Eisteddfod would be an ideal time to share this. Although the novel is written in English, its heart is in Ceredigion and Chile. I'm obviously very grateful to Jon for his thoughts on the book. Mae’n gyfrol swmpus a hardd. Mae iddi ddiwyg crefftus drwyddi – yn enwedig y clawr blaen a’r cefn. Nid yw’r penodau yn faith - yn seicolegol gryno. Mae iddi stori gyffrous, anarferol, a brigau uchel fel y tonnau cyn disgyn i gafnau o fyfyrdodau a dialog rhwng cymeriadau sy’n grefftwaith ynddynt eu hunain. A’r holl stori wreiddiol yn sieliedig ar y llun yn y cwtsh glo!! Rheiny yw’r gorau bob amser. Hoffais y ffordd roeddech wedi gwau eich profiadau o’r hiwmor Cymreig – yr emynau a’r meddylfryd gwerinol – i gefndir y co’ o ddyffryn Teifi, y Preselau, yr arfordir a threftadaeth morwrol. Mi fyddai Nhad wedi ei mwynhau mâs draw ynghyd a’i gefndryd a’r halen yn eu gwaed. Roedd y dyfyniadau o emynau yn ddramatig ac yn tynnu deigryn wrth eu darllen. Yn wir roeddwn yn adnabod peiriannydd o’r enw Glanmor Evans o Blaencelyn. Ysgrifenwyd y gyfrol gan awdur deallus, sensitif wedi ei breintio â dawn greadigol ddramatig. Roedd gwead drefnus yn llawn disgyblaeth iaith ac yn cwtogi neu ymestyn hyd brawddegau i greu yr effaith drawiadol. Roedd y dewis o ambell air anarferol ac annisgwyl yn ychwanegu at y blas. Enw bendigedig i’r arwr – y Capten Davy Jefferson Davies. Roedd fel petawn yn ei adnabod – a’i lygaid a’i feddylfryd tua’r gorwel a thu hwnt. Roeddwn yn adnabod 15 – 20 o gapteniaid yn ardal Pontgarreg. Drws nesa’ roedd Capten Davy Rees a fu’n morwra gyda’r Blue Funnel Line. Aeth 11 o fechgyn y Cilie i’r môr. A fyddai’r gyfrol wedi gwneud ffilm dda? Byddai yn sicr. Mae’r cymeriadau o’r Arlywydd, i Moraga, Mrs Ebrington, Hervey, swyddogion y capten i’r rocyn ifanc a’r asyn – yn fyw a chredadwy. Roeddwn wedi ceisio gosod y cymeriadau a’u cymharu a phobl roeddwn yn adnabod. Llongyfarchiadau ar eich llwyddiant. Edmygais eich gwaith ymchwil – nid oedd yn sefyll allan ond yn gorwedd yn naturiol yn natblygiad y stori. Roedd yr enwau Sbaeneg, y tirwedd a’r enwau cynhenid – yn rhoi blas, fel sinsir mewn cacen – ac yn gwneud y cyfanwaith yn gredadwy. Dechrau a gorffen yn eich milltir sgwâr. Thank you to Helen Skinner of 'She Reads Novels' for this great review of My Beautiful Imperial. Diolch i Helen Skinner o 'She Reads Novels' am yr adolygiad ardderchog hwn o My Beautiful Imperial. Ymlaen at y rhestr fer!